Back in Stock supports integrating with the Debut theme. 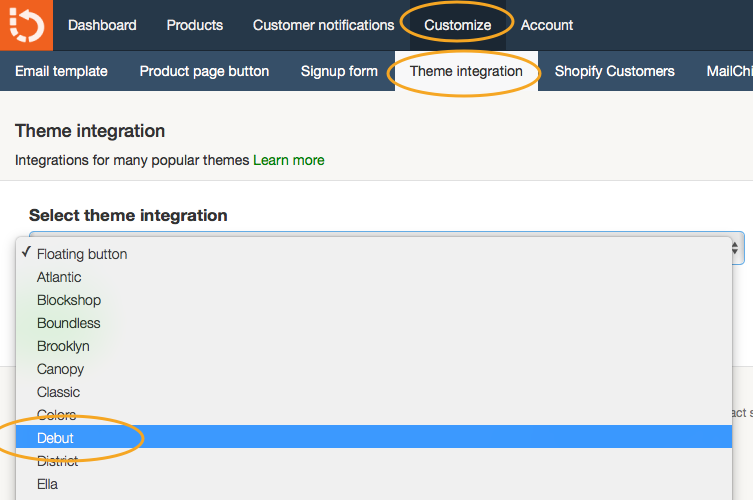 This guide will explain how the integration works and walk you through installing it for your store. Check one of the out-of-stock product pages on your store. 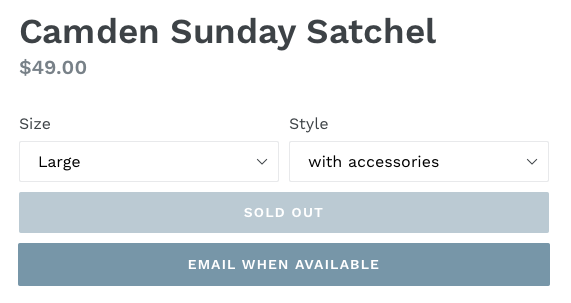 The Back in Stock ‘email when available’ button will appear in the product page.